Are you looking for an opportunity to put all of your Scouting training into practice and make a difference? 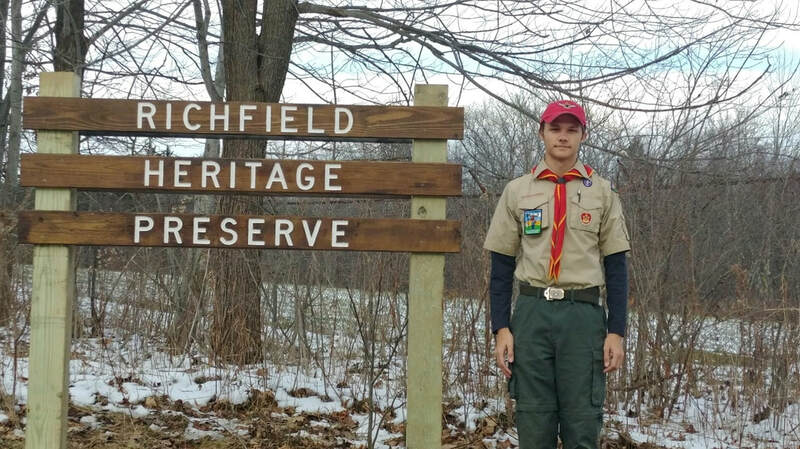 Consider Richfield Heritage Preserve for your Troop project, Eagle Scout Award project or Gold Award project. You’ll not only showcase your planning, development and leadership skills, you’ll make a contribution to the park that could be enjoyed for generations to come. To get started, we encourage you to visit the property to generate an idea and project proposal. Successful proposals identify a solution to an area in need or a creative and sustainable project that adds unique value to the park. Keep in mind, your project must be realistic for you to carry it to completion in the time allotted. Not all projects are necessarily a match to the park and alternative concepts may need to be developed and proposed. 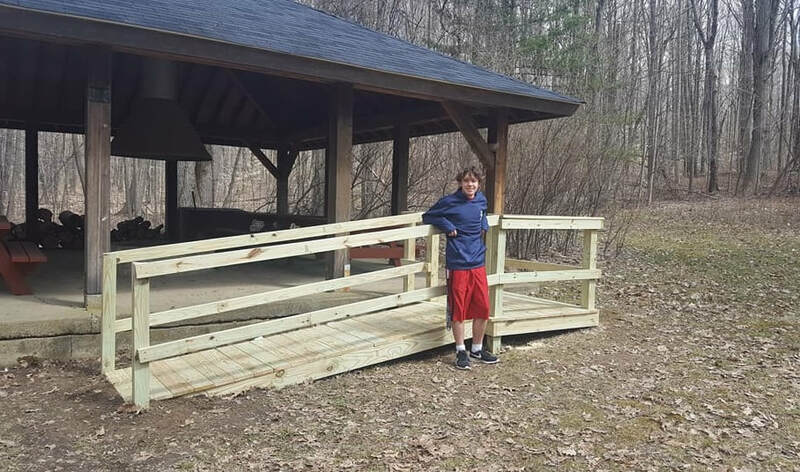 Kyle Dluback (Troop 263) built the steps and access ramp at Mable Smith in April 2018. 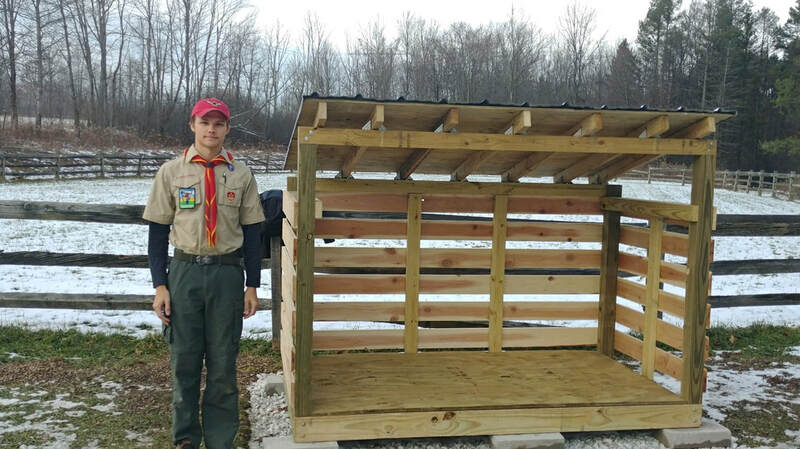 Aaron Doerner (Troop 221 in Parma) removed two latrines that were located near the Gas Cut in October 2018. ​the fire wood storage shelter at the Summer Barn in December 2018.